You know St. Martin, right? The man who turned water into wine? To honour this, on November 11 is St. Martins day. At this time wine matures and this calls for celebration. 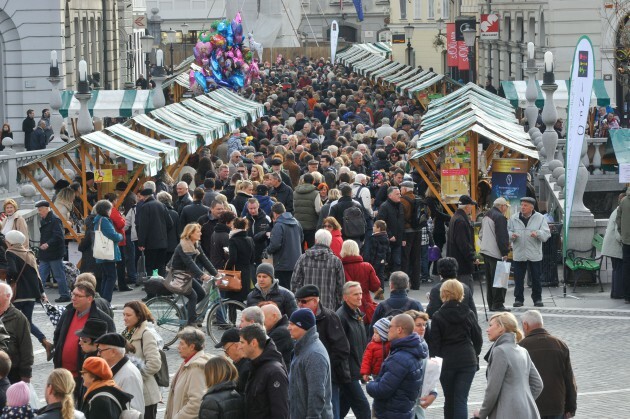 The celebration in Ljubljana will start on Saturday, November 7. More than 120 producers of wine and culinary delights will present their specialities on Ljubljana Wine Route. You will also see different performances of singers, music groups and dancers. Do you need a place to sleep? Check our dormitory or private rooms. Welcome to Ljubljana! This entry was posted in Events, Food, H2ostel Blog. Bookmark the permalink.